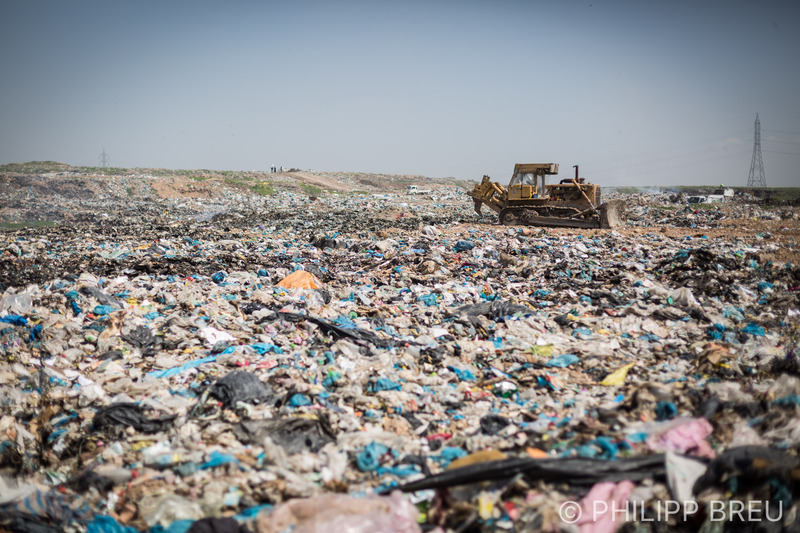 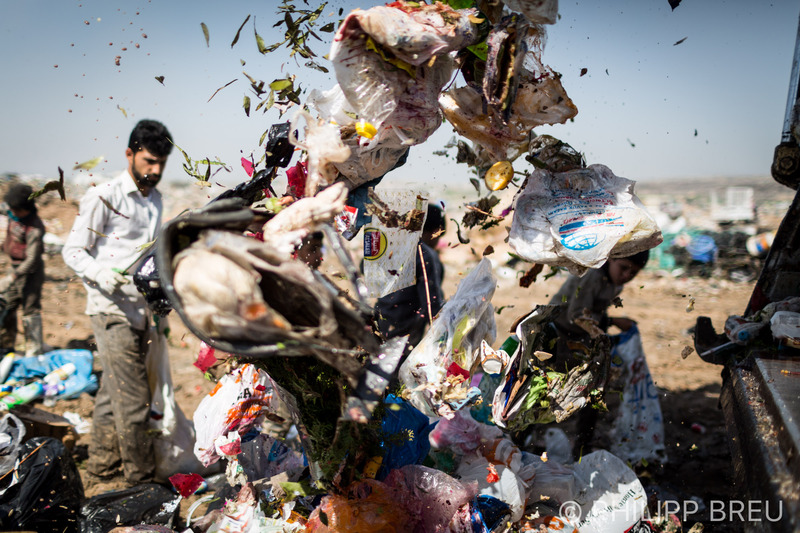 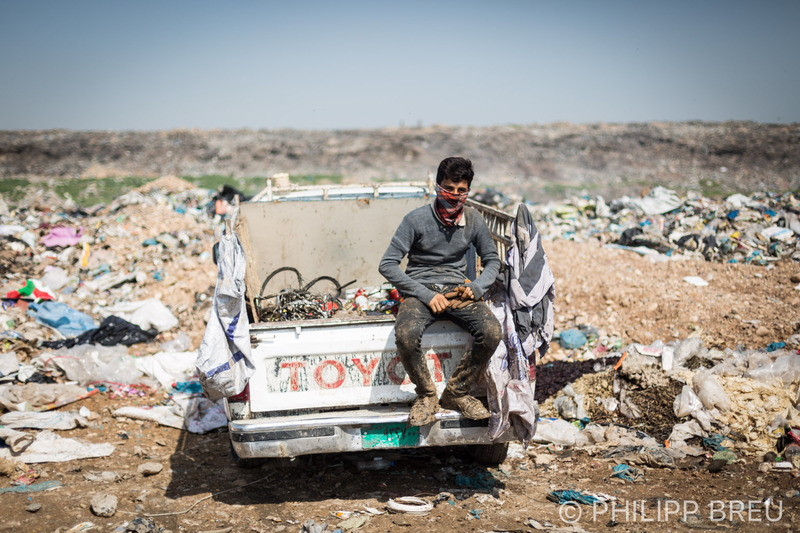 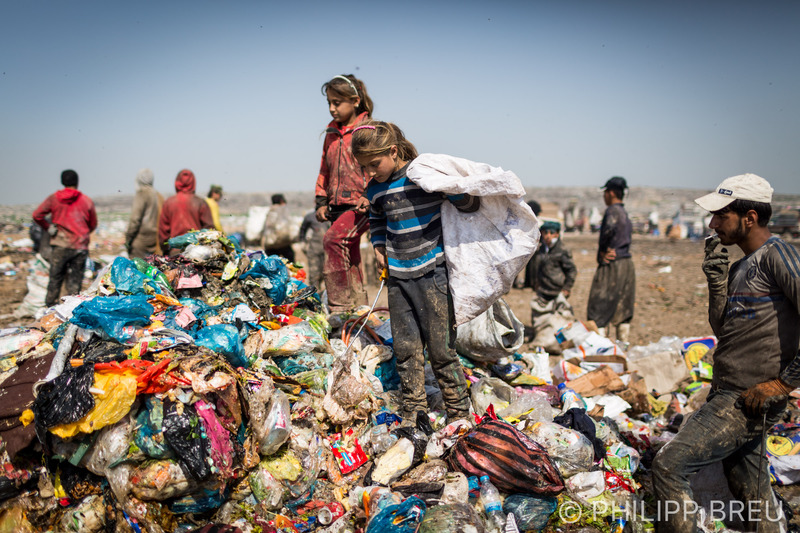 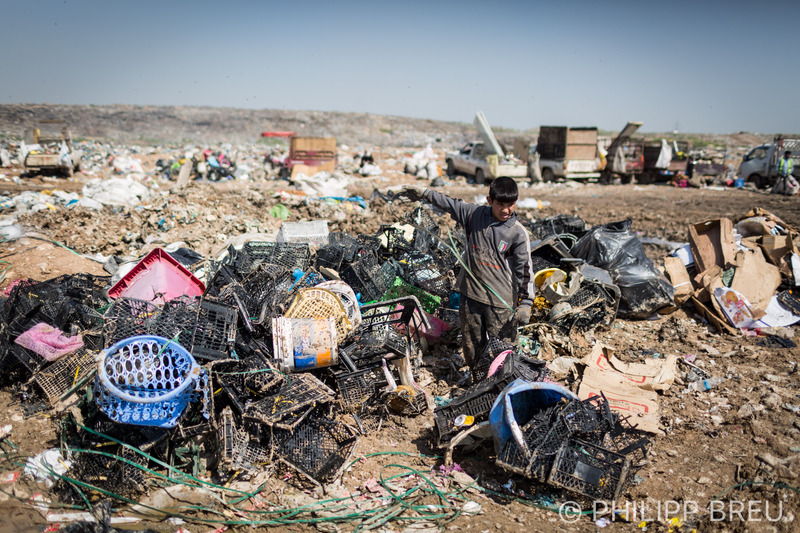 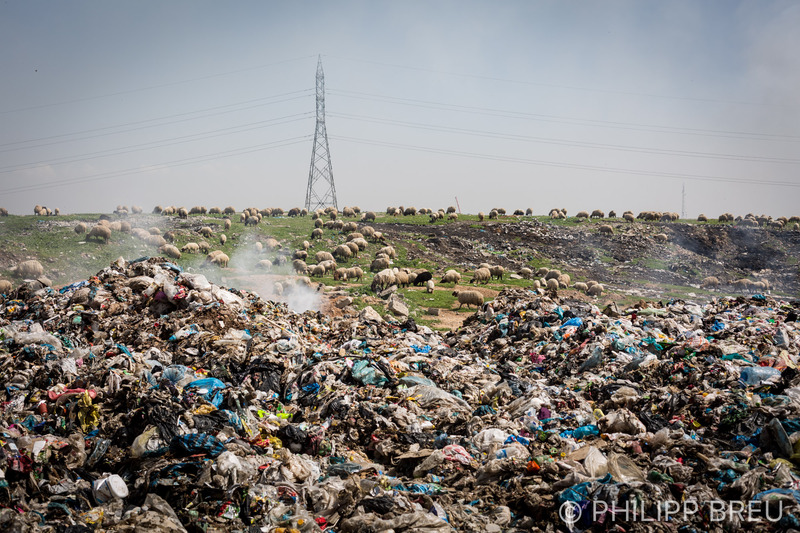 Many people probably never ask themselves where all the garbage in a city like Erbil ends up. 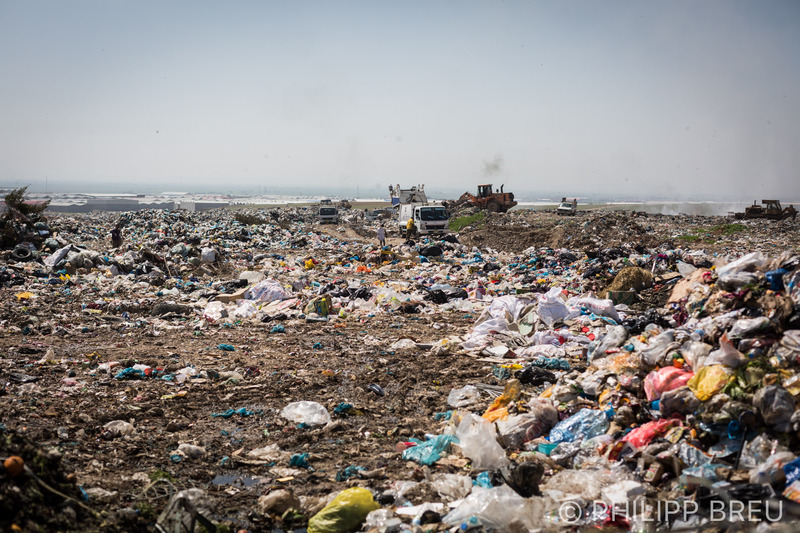 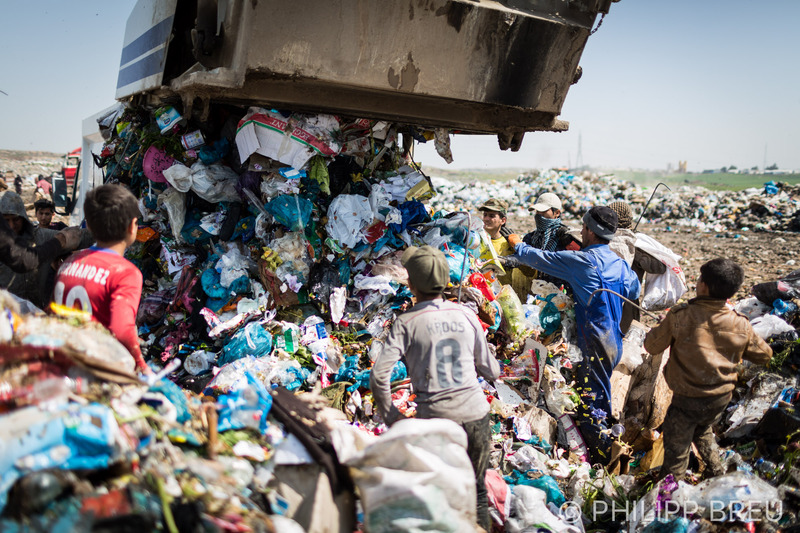 Since there is no power or recycling plant to take care of it, it gets collected and ends up on a fairly big landfill just outside of Kurdistan’s capital. 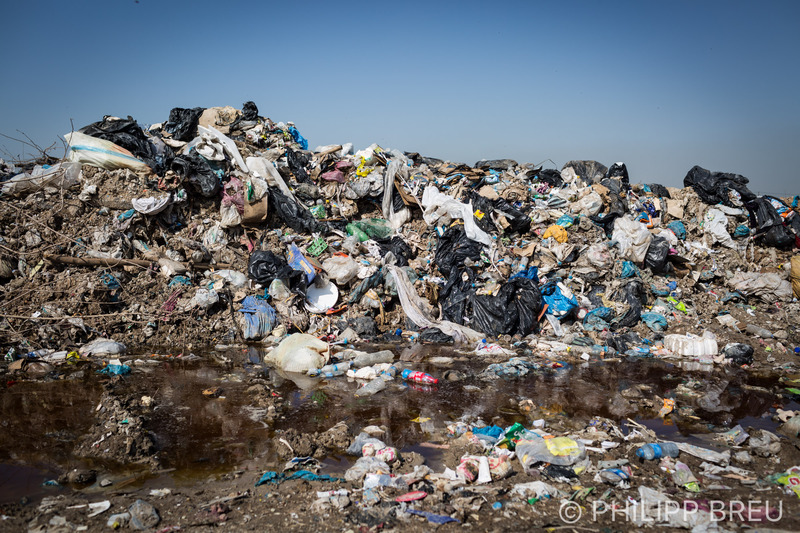 When my colleague Florian Neuhof recently told me about this place, I went there to check it out myself. 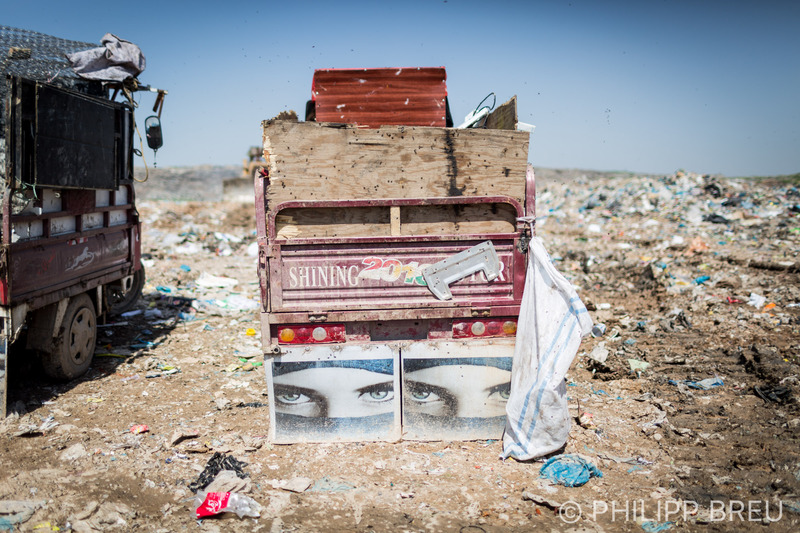 I had an interest in this place also for the fact that my very first story as a photojournalist was the community of the Christian garbage collectors of Egypt’s capital Cairo. 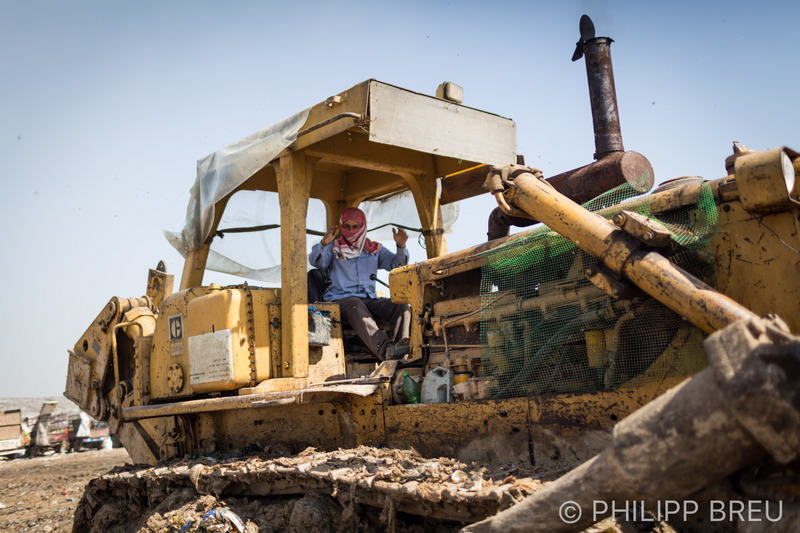 To my surprise, people working there were not only okay with me taking photographs, but in fact they were very welcoming and friendly. 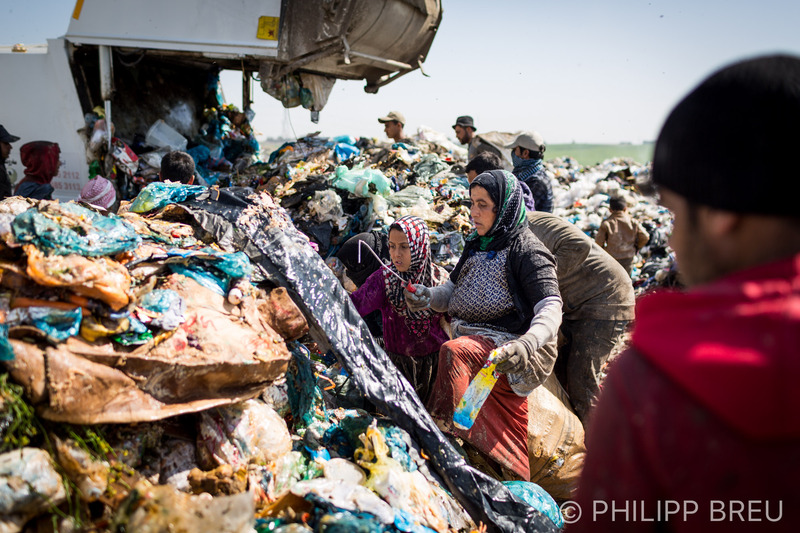 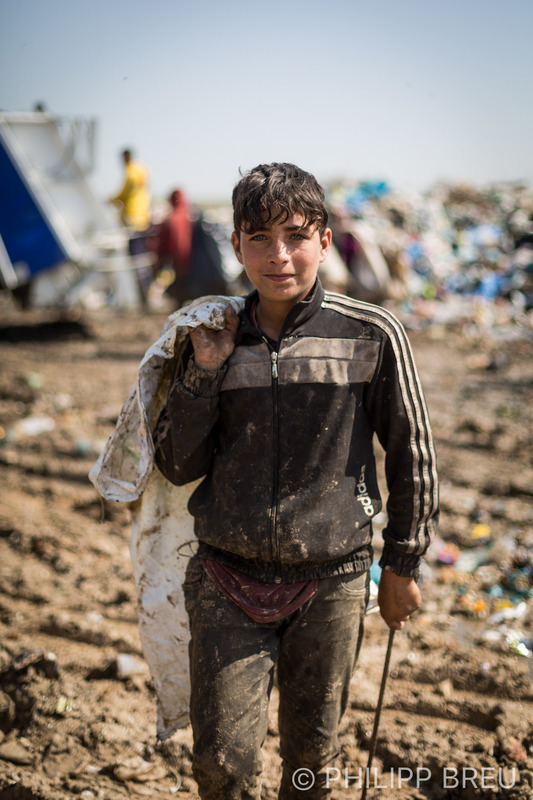 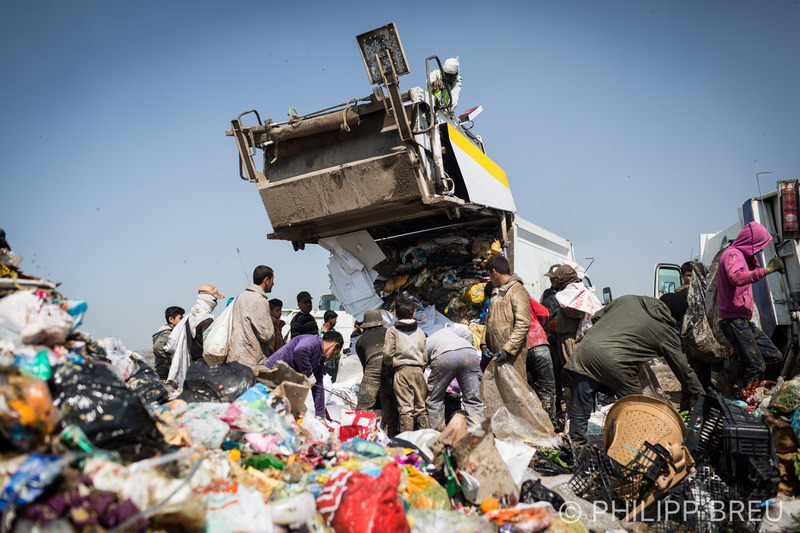 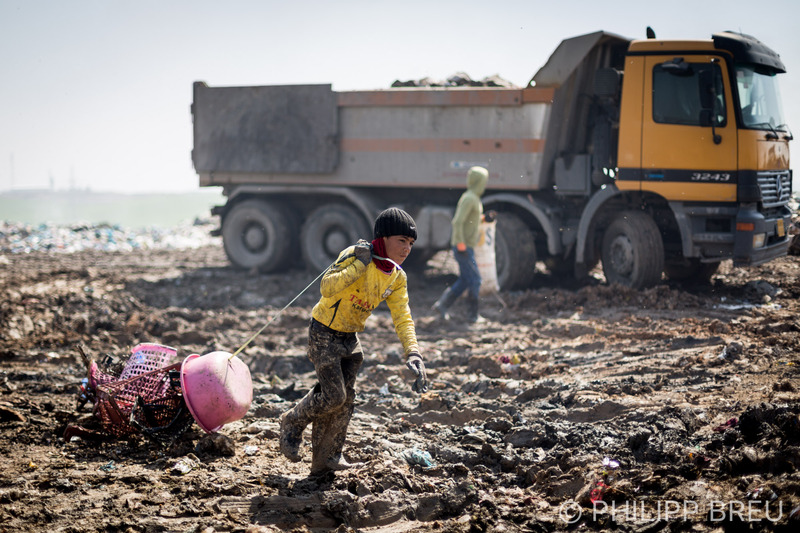 That day, roughly 70 people – men, women and kids from nine years up – worked at the dump. 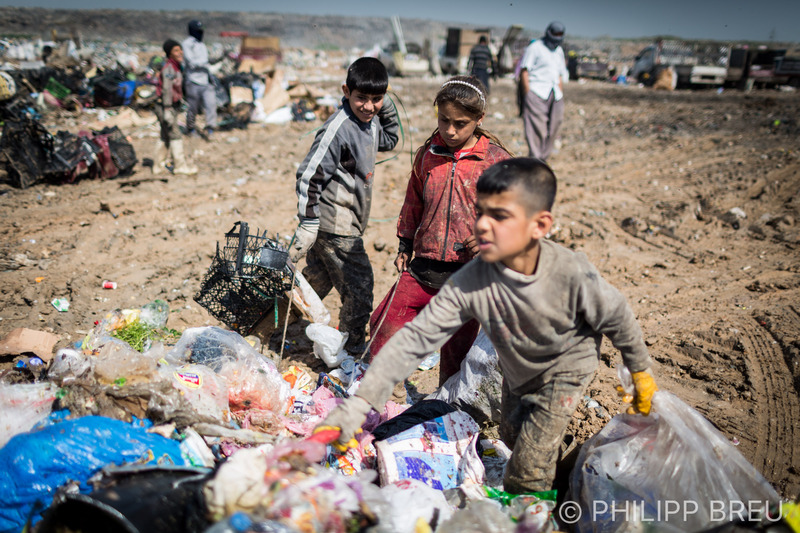 Many of them are internally displaced people from other Iraqi cities like Mosul. 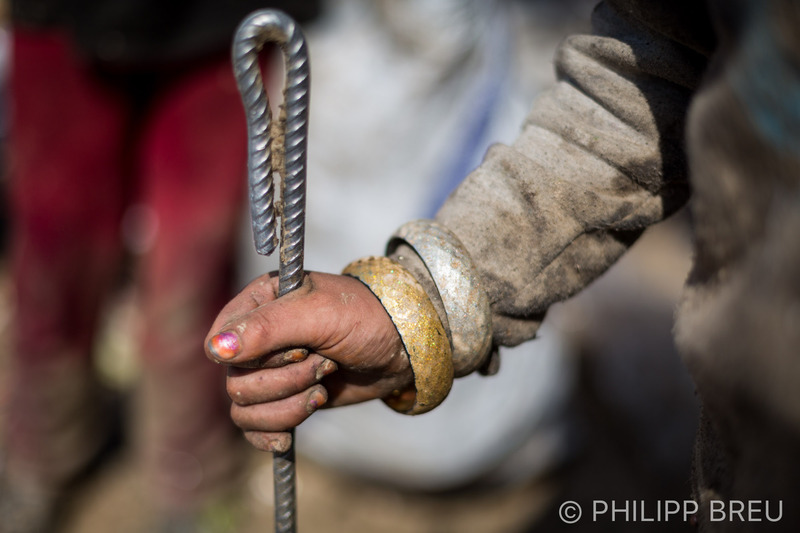 Others are locals, unable to find better work. 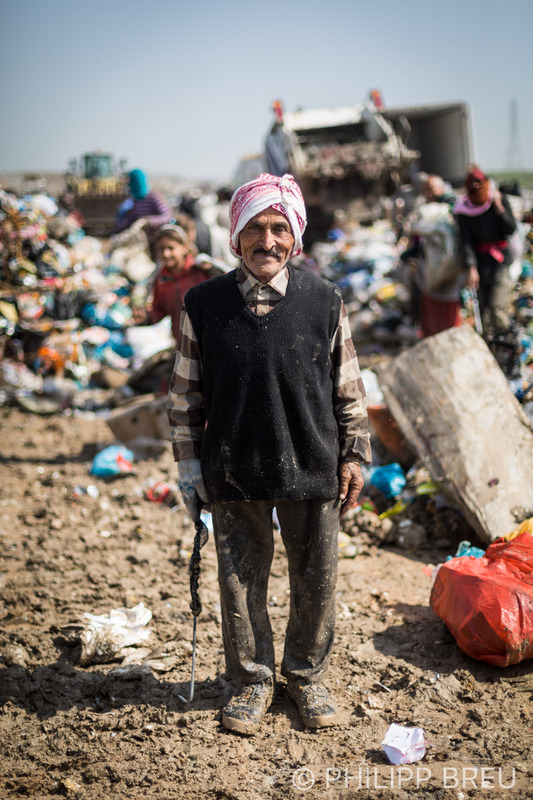 Interestingly, because obviously poverty doesn’t discriminate between sects and races, the dump works like a magnifying glass of Iraq. 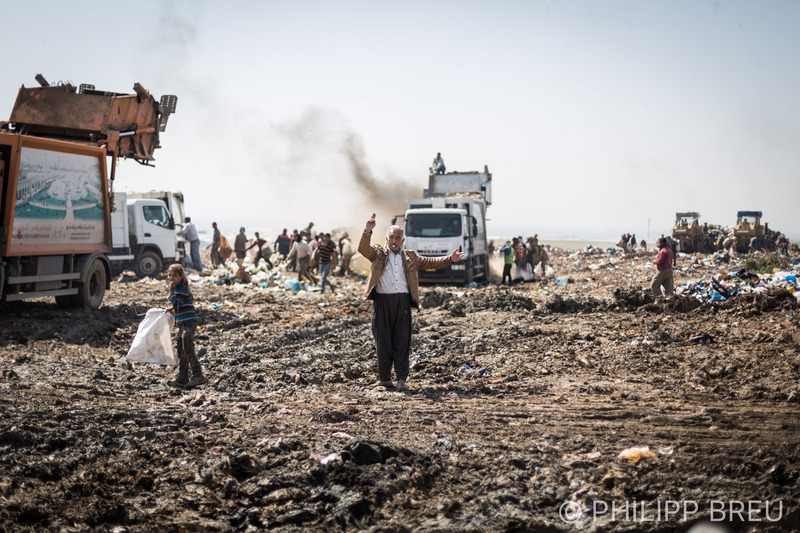 There are not only Arabs and Kurds working together, but also Christians, Sunni and Shia Muslims alike. 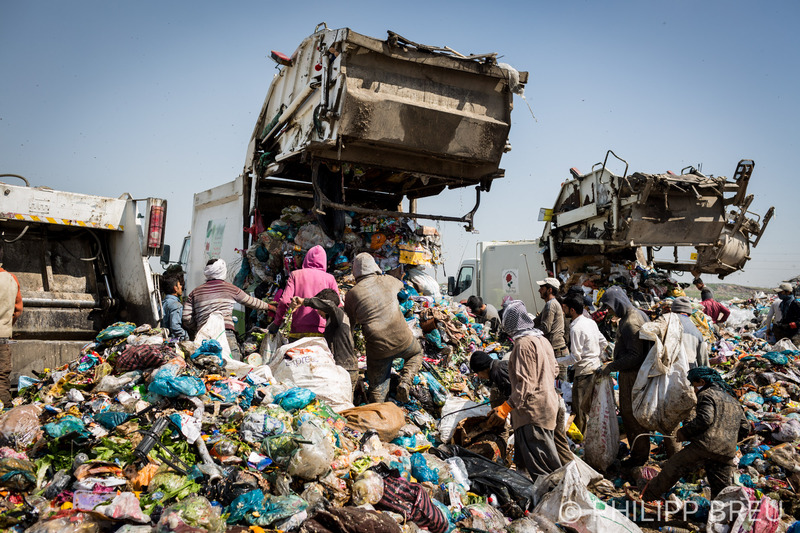 One man told me that they earn around 50$ for a ton of paper, 70$ for a ton of plastic, and 90$ for a ton of metal. 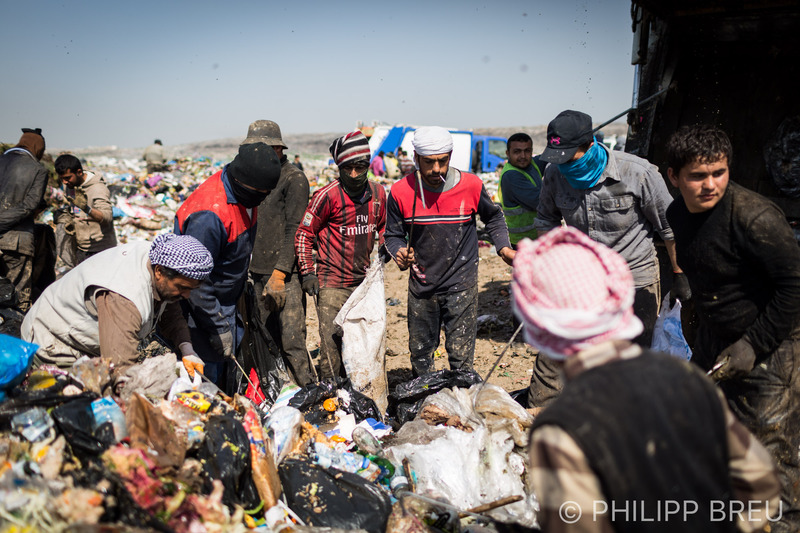 The materials get separated, collected and is being resold to companies in Erbil. 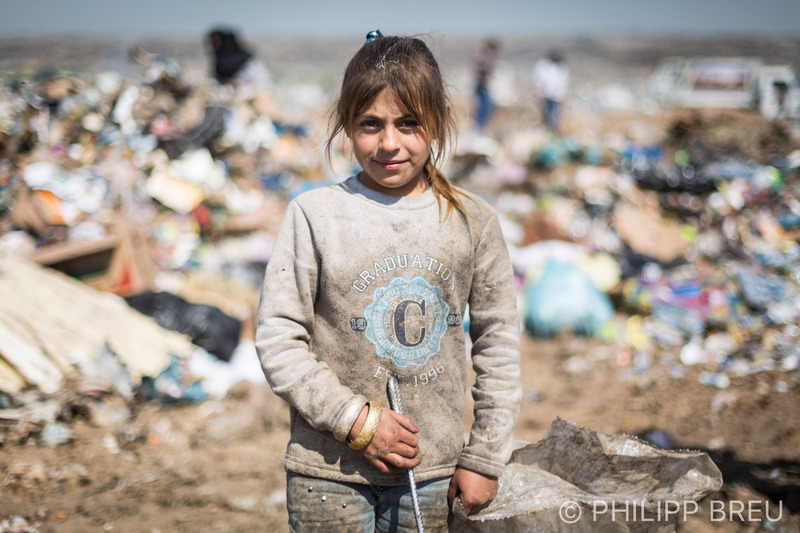 Noura is from Mosul and nine years old.